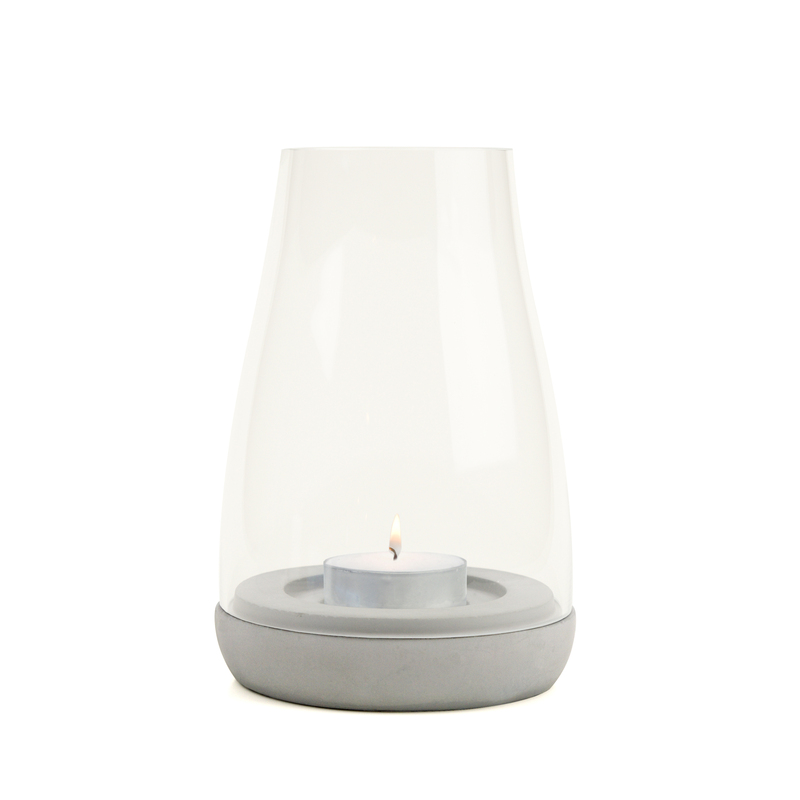 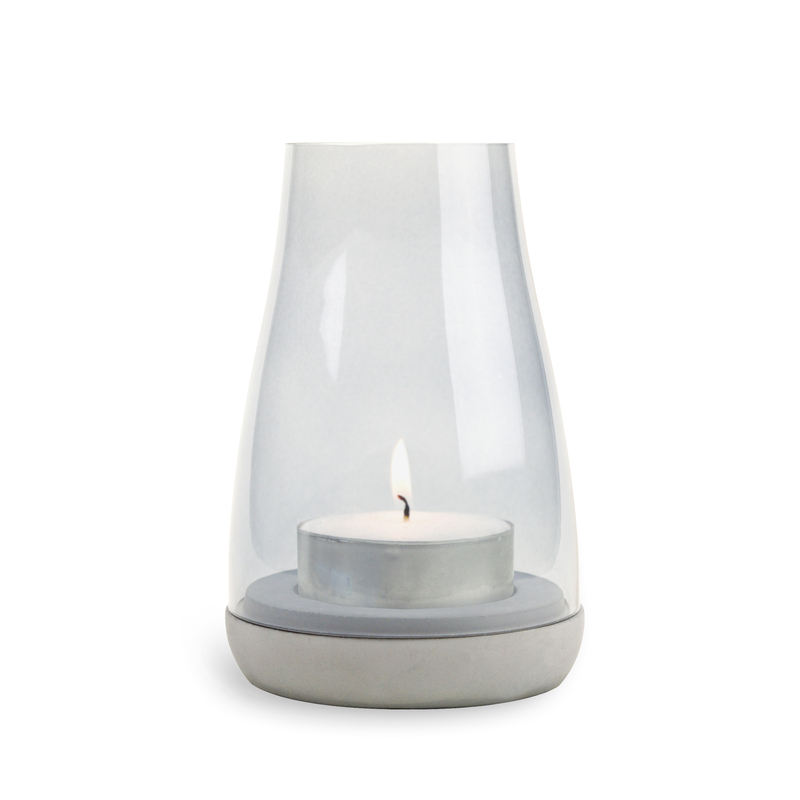 This very basic but nicely designed item from Novoform is a candle holder. 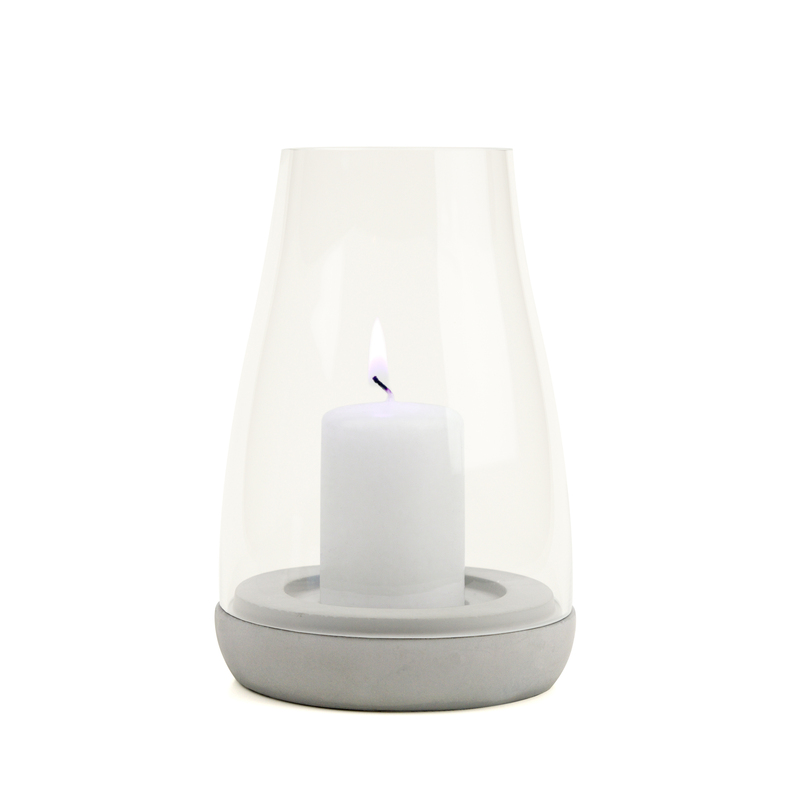 They are available in 2 different types: both bottoms are a cement base and above it, there’s a glass where you can put your candle in. The glass is available in smoked version or a clear glass. 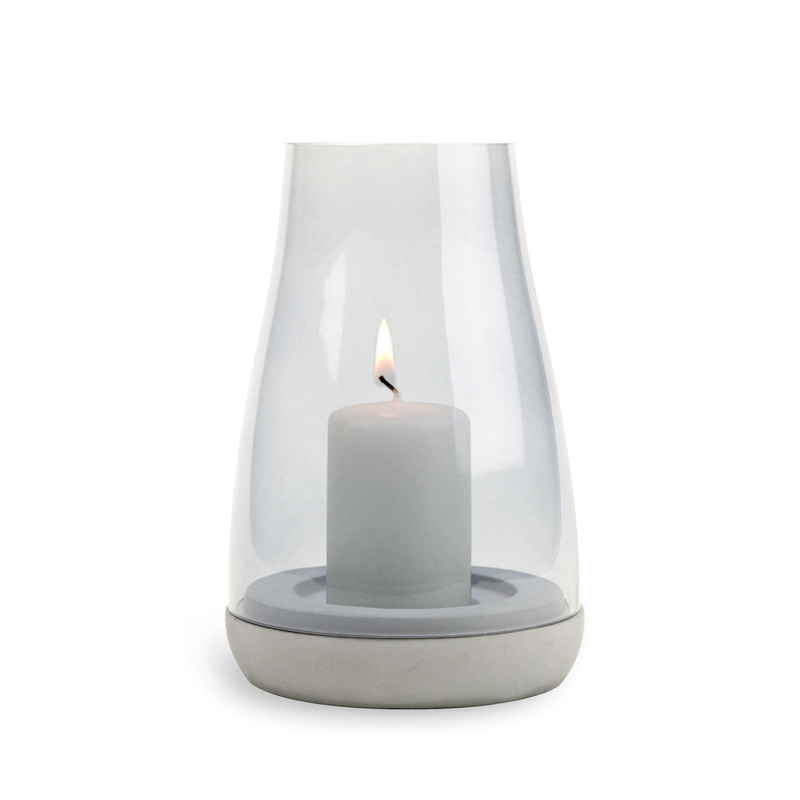 You can choose whether you put a small or a larger candle in the glass: both fit and both look nice!